It is 1 in the morning and I just received an email from my best buddy, and what a question that he just asked me, “Will Any Car Stereo Fit in My Car”. O, Boy, What should be my answer? Now, this is not the first time that people have asked me about car stereos but receiving an email followed by a phone call, I have never been in such a situation. So, I told him that just wait for a few hours and I will post an article that will be dedicated to your question that is, Will Any Car Stereo Fit in My Car? Everyone loved listening to the music or their favorite songs that brings energy into them and make them happy and enthusiastic. Actually, when we fit stereo in our car and use it while driving, it drains all the negativity and tiredness away from us and keeps us energetic. You all know the benefits of listening to music because it’s a therapy that keeps us relax and fresh all the time. All you can do is that you can measure the size of the head unit so that you can easily fit the car stereo without any difficulty. You can do this very easily and properly with the help of the measuring tools. 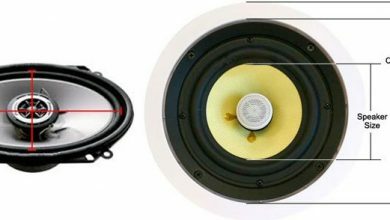 As size is the basic and main thing which you should have to know because if you buy a wrong size stereo for your car it will be of no use. Neither a big one nor a small one is going to be adjusted properly and giving you the best results. Only the best compatible stereo with your car will produce the best results so make your mind clear and don’t even try to adjust the small size stereo in a big place. So before going into further details, let me ask you a straight question: Do you have a single din or a double din car stereo at the moment? If you have a single din that you can only replace it with a single din and similar is the case with a double din car stereo. However, every double din car stereo can be replaced with a single din car stereo. But if you have a single din then you may to modify or make adjustments accordingly. The main reason is that the double din stereo is a big one and it is not possible to replace it for the single din car stereo. But you can replace the single din in place of the double din stereo and the reason is that single din is small than double din and there is a possibility that it would get adjusted in replacement of the double din stereo. 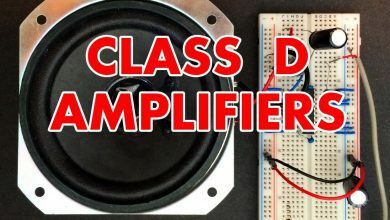 But the issue is that if single din is adjusted in place of the double din than, there is a definite possibility that it would get displaced from its proper position and does not give the best results and there is a chance that its fitting might gets disturbed by any bump or jolt and will ruin the whole stereo system. So it is advised, not try to fit the single din in replacement of the double din and try to use the proper size of the stereo so that you do not have to worry for many years. It’s a definite thing that proper size adjustments give you the best results and make the sound system of your car, a heavenly voice. For giving the best facility to my dear readers I will also tell you that which size of the stereo will be compatible with your car so that without measuring you can buy a proper size stereo for your car by the help of that guide that soon I am going to share with you in this article. But still, if you want a single din stereo in your car than it is good too. The choice is a personal matter and you have the right to select the good stereo for your car either a single or a double din. But make sure that you are taking a high-quality stereo that is going to perform properly and efficiently for many many years. Now question here that can you easily modify your front panel or dashboard for modification and adjust the din size of your choice. My answer is yes. I have gone one step further and I have got the details of all the major brands of cars and along with that, I will publish a list of car stereo sizes that are compatible with them. I always recommend going for a double din stereo, it gives you all the needed features with a user-friendly manner. You can access all the options with just a click of your finger. Now with a single din stereo, you have to adjust the settings manually by pressing different buttons. Read here: Best 5×7 Speakers 2019. 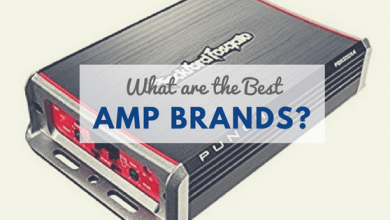 I have mentioned all famous car brands and also added which kind of car stereo is suitable for that very model. XLE- 6.1 Inch Double Din Stereo with a touch Screen. SE- 6.1 Inch Double Din Stereo with a touch Screen. XSE- 6.1 Inch Double Din Stereo with a touch Screen. BMW 3 Series 2018-2019 features an 8.8-inch controllable display with navigation. Honda City 2018-2019 comes with a double din stereo. Honda Civic 2018-2019 features a double din stereo. Honda Accord similarly has a double din car stereo. AVIC-Z910DAB: 7-inch 24 bit true color touch screen stere. AVIC-Z810DAB: 7-inch stereo with USB and dual camera feature. AVIC-Z710DAB: 7-inch, Wifi, and multi-touch screen features. Pioneer AVH-201EX- DVD receiver with a touchscreen. Boss BN965BLC- Navigation receiver with a rearview camera. AVH-Z7100DAB- 7-inch, supports Android and Apple CarPlay. AVH-X7800BT- 7-inch screen which features Bluetooth technology. DEH-S510BT- 1 Din, with Bluetooth, USB. So, take a look to these amazing car stereos for your car and all your problems would be solved regarding this topic as you just have to see that which stereos are suitable for your car and just go for it. So give this article a complete and careful view so that you can easily solve the problem and confusion regarding Will Any Car Stereo Fit in My Car. Feel free to contact me if you have any questions related to car stereos.